Baahubali actor Rana Daggubati who played Bhallaladeva in the two-part blockbuster movies has recently graced Karan Johar’s talk show Koffee With Karan with Prabhas and director, SS Rajamouli. 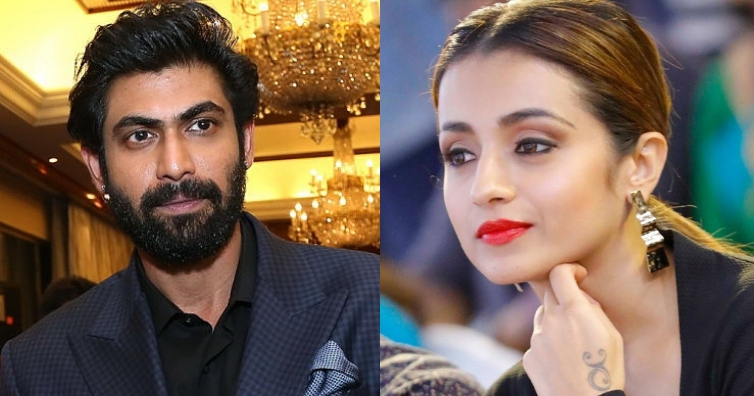 The trio had a fun time with host Karan Johar, but it was Rana who raised many a eyebrows by opening up about his relationship with actress Trisha Krishnan. Meanwhile, rumours of Prabhas and Anushka Shetty’s alleged relationship was also addressed on the show when Karan Johar asked the Baahubali protagonist about the rumours and he refused them to be true. Koffee with Karan airs on Star World every Sunday at 9 pm. Previously the show had Saif Ali Khan with his daughter Sara, Janhvi and Arjun Kapoor, Vicky Kaushal and Ayushmann Khurrana among others.